Recorded on Saturday, April 28, 2018, 9:30 a.m. to 4 p.m. This program contains 1 hour of Professionalism Content. This program contains 40 minutes of EDI Professionalism Content. This program is eligible for up to 3 hours, 10 minutes of Substantive hours. 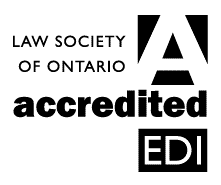 Only Professionalism Hours must be accredited by the Law Society. Lawyers and paralegals must determine for themselves whether an activity is an eligible educational activity for CPD and qualifies for Substantive Hours. For more information about Substantive Hours, please see CPD Requirement. Increasingly, individuals with mental health issues are becoming entangled in the criminal justice system. These clients present unique challenges for defence counsel. Solicitor-client relationships may be complicated, and the law is no simpler. Defence counsel require specialized knowledge and skills to deal with psychiatric issues that crop up throughout the criminal law process. 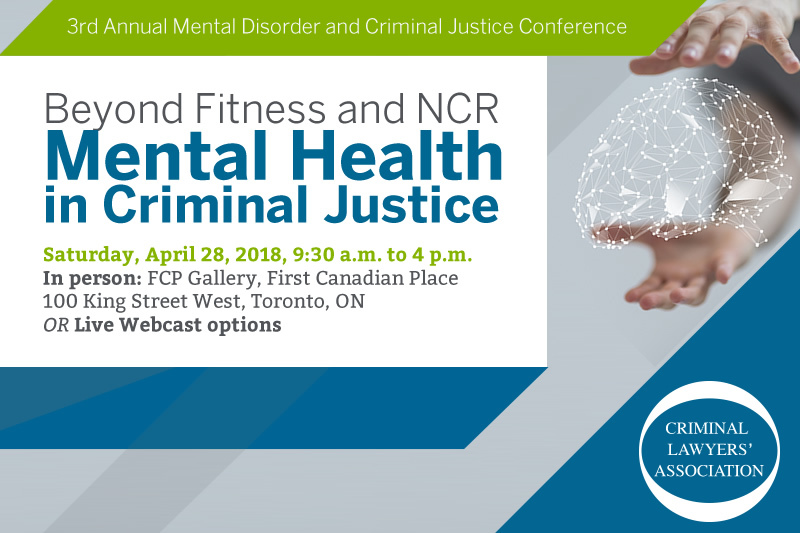 Come hear leading practitioners and new lawyers identify ethical and professional pitfalls and offer strategies to successfully manage cases involving a wide variety of mental health issues. This year we move beyond the basics of fitness and NCR. We will explore an explosion of new cases coming out of our Court of Appeal in 2017 giving appellate guidance to the ORB and stake-holders on interpretations of the Mental Disorder provisions of the Code. We begin basic learning about civil mental health law as we must understand in the context of defending our clients. We also examine what happens in the community, including problematic interactions of police with individuals in crisis which lead to lethal outcomes. Leila Feldman has been in private practice since 2006 specializing in anger management. Most of her client base have charges before the courts that require an intensive, individually tailored anger management program.